Hops (Humulus lupulus), Valeriana root (Valeriana jatamansi rhizome), Saint John's wort leaf (Hypericum perforatum leaf) and Garden mint leaf (Spearmint leaf) - normalize condition of cardio-vascular, nervous, digestive and urinary systems, provide pronounced sedation and well effective in case of nervous disorders, stress, depression. Urtica parviflora tender leaf improves coagulability of blood and has anti-inflammatory effect, participates in the process of hematopoiesis and promotes the formation of bone tissue. Arjuna extract (Terminalia arjuna extract) promotes the prevention of cardiovascular disease, is effective in angina pectoris, congestive heart failure, to reduce high blood pressure and cholesterol. Citrus bioflavonoids, quercetin, rutin, vitamin E, vitamin A contribute to the formation of antioxidant status of the body, maintaining the elasticity of the vascular wall, reducing its fragility and permeability. A big role in the prevention of acute attacks of cardio-vascular diseases plays a diet and a rhythm of life in general. Complexes of bioactive substances also provide the strengthening of cardio-vascular system health and prevention of abnormalities development. 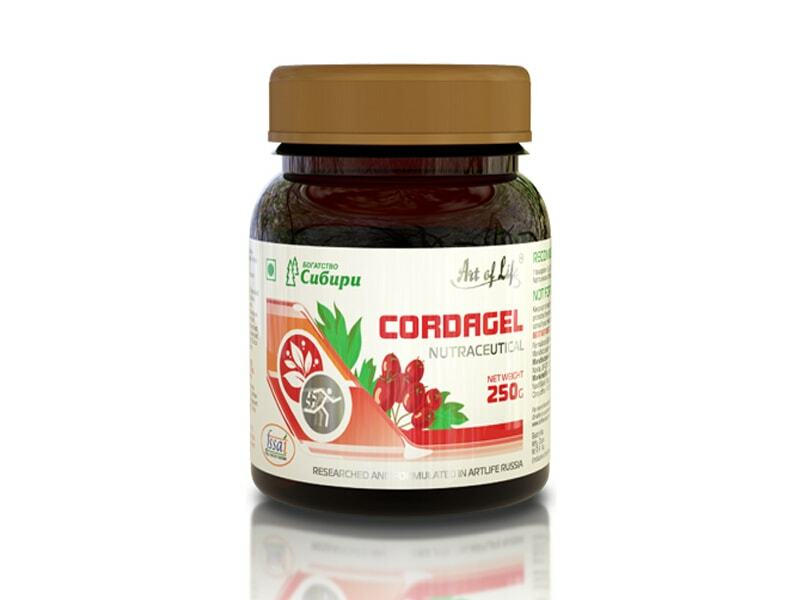 Recommendations for use: " Cordagel " is recommend as a dietary food supplement.